Wash the strawberries and hull them. Cut the big ones in half. 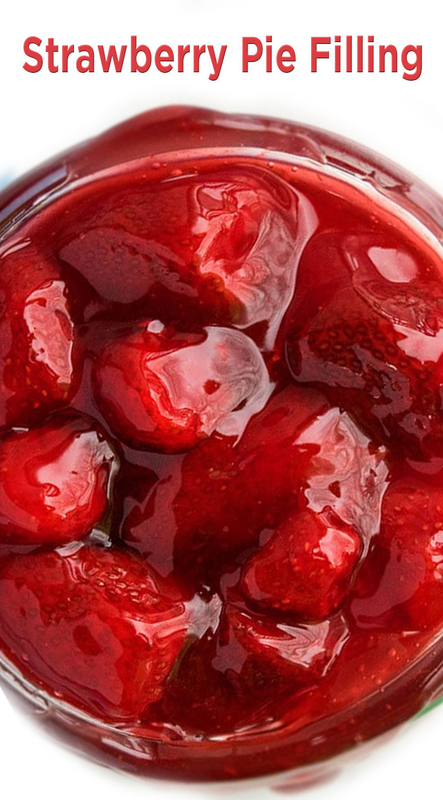 Blanch the strawberries by plunging them in a large pot of boiling water. Drain and place them in a covered bowl to keep warm. Keep aside. In a nonstick saucepan, add Clearjel, sugar and water or juice. Cook while stirring constantly over medium heat until mixture starts bubbling and becomes very thick. Add warm blanched strawberries and mix gently. Add red gel food coloring if you like and mix until evenly combined. Can if you like OR let it cool down and then store in a sealed container in the fridge for up to 1 week.